The US has finally confirmed that it has fired DU ammunition in Syria, after it had earlier stated that the weapons would not be used. US Central Command (CENTCOM) has acknowledged that DU was fired on two dates – the 18 and 23 November 2015. 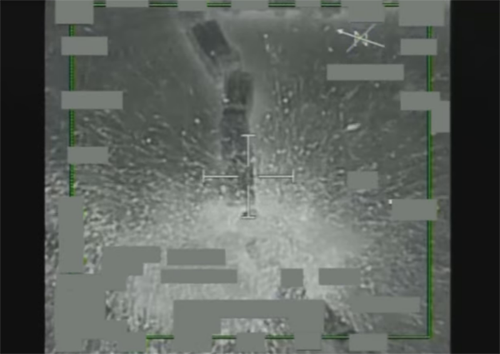 Between the strikes on the two dates, 5,100 rounds of 30mm DU ammunition were used by A-10 Thunderbolt II aircraft. This equates to 1,524kg of DU. CENTCOM said that the ammunition was selected because of the “nature of the targets”. The news comes as governments are debating a UN General Assembly resolution on DU weapons in New York. And, although DU use has only been admitted on two dates, ICBUW and PAX are concerned that this disclosure could be the sign that DU has, or will, be used more widely in the conflict. The US has long been conscious of the stigmatisation of the use of DU weapons. As far back as 1991 the US military were advised that: “…fielding and combat activities [with DU] present the potential for adverse international reaction.” It was therefore predictable that Russian state media quickly highlighted news that DU had been used in Syria, with Russia’s embassies in Paris, Ottawa and London tweeting the news, as Russia sought to draw attention away from its own conduct in the conflict.